You are at:Home»Tech»News»Attention 90s Kids – The Tamagotchi Is Back! Attention 90s Kids – The Tamagotchi Is Back! Toot toot, it’s time to hop on-board the nostalgia express because your favourite 90s toy is back! Yes, indeed 90s kids, the original Tamagotchi is back and better than ever before. Yes sure, your Tamagotchi probably caused most of the stress you experienced as a tween but seeing your little virtual muchkin flourish made it all worth it. For those unfamiliar with Tamagotchi, the nifty little gadget allows users to take care of a virtual pet character from the moment it hatches from its egg to the day it retreats to the big pet hotel in the sky. You’ll have to look after it and make sure your animal is healthy, happy, and well fed to ensure a longer lifespan. 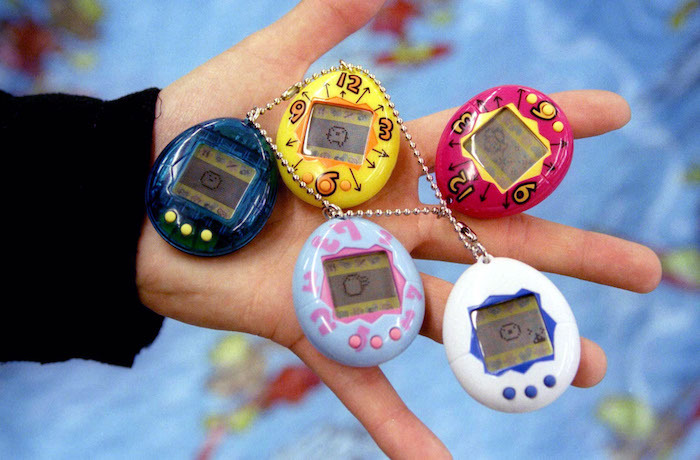 It might sounds like just another fad, but Tamagotchis are great for helping kids understand what it’s like to have a real pet and for adults (let’s be honest, you just HAVE to have one!) they’re perfect for alleviating boredom while waiting in long lines! This time around the simple three-buttoned device has been resurrected in a modern way, while still staying true to the original model. The new Tamagotchi is smaller in size but still has a monochromatic display screen with six characters available to choose from. Pick a colour and attach it to your keyring for hours of fun on the go.